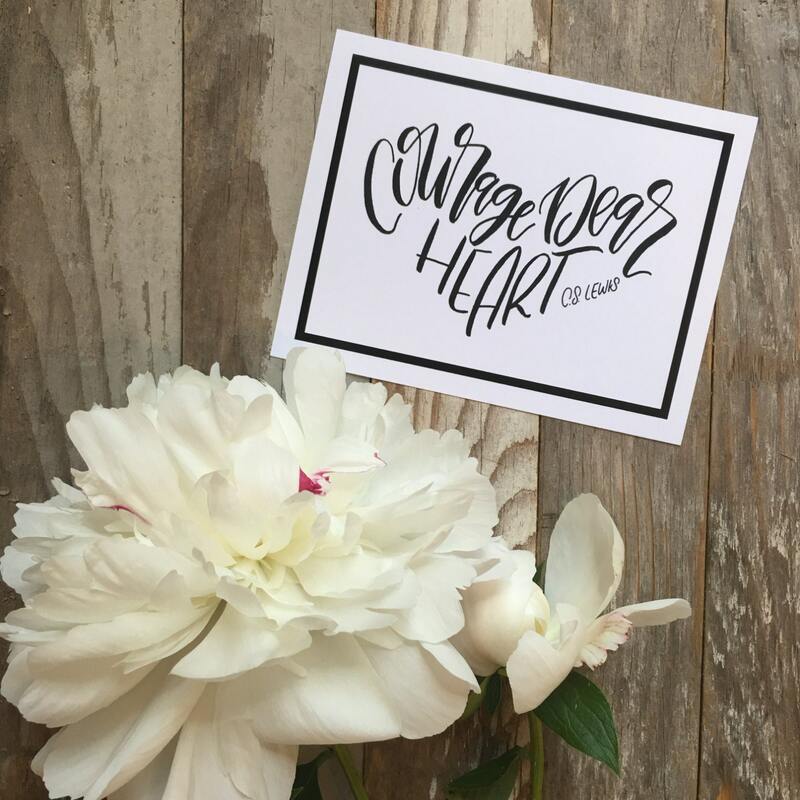 "Courage dear heart", the quintessential quote from C.S. 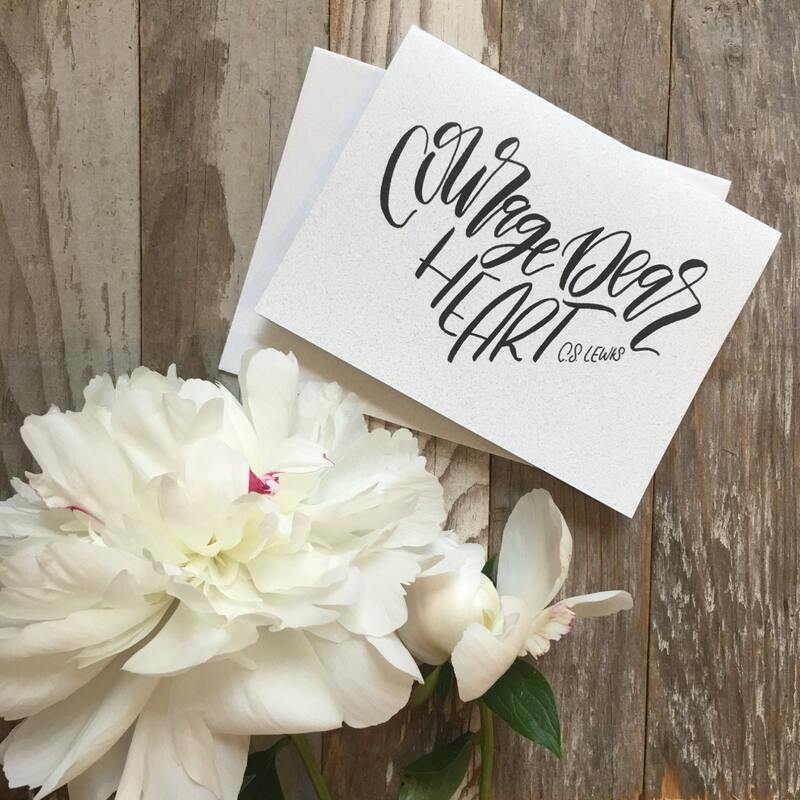 Lewis is hand lettered in the shape of a heart on these darling postcards. The perfect notes of encouragement for Christians and non believers alike. Set of 6 encouraging postcards, professionally printed on luxe heavyweight card stock.